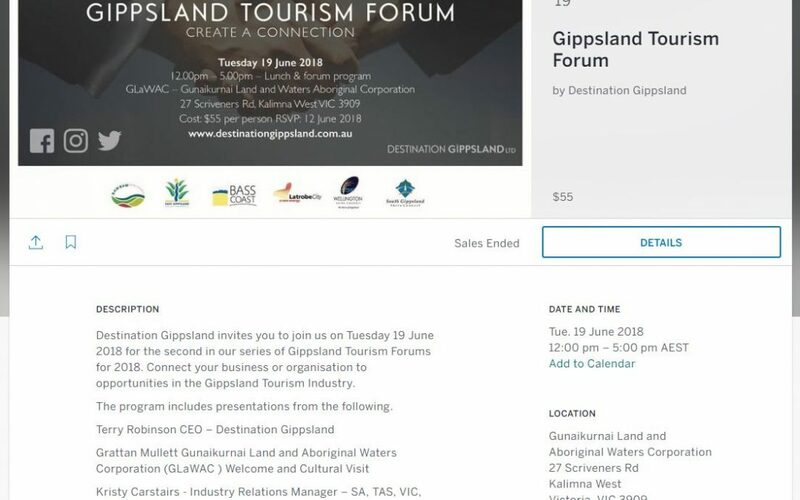 The second Gippsland Tourism Forum will be held on Thursday 19 June at the Gunaikurnai Land and Aboriginal Waters Corporation (GLaWAC), Kalimna West near Lakes Entrance. Commencing with a networking lunch, this is an opportunity to visit and understand the GLaWAC site, hear from local business case studies – Chris Moore – Sailors Grave Brewing and Angela Mosley – Australian Cycling Holidays. There will be presentations from Destination Gippsland, Booking.com, Visit Victoria and Tourism Australia. To register now follow the link HERE.